Our organization is involved in manufacturing and exporting a wide range of Medical Accessories. These accessories are manufactured by using the most superior quality raw materials. They are well-known and acclaimed for its durability and efficiency. We offer a wide range of medical accessories of different shapes, sizes and kinds for a wide range of medical purposes. All the products listed under this category are as follows, Scrub Sink Station, Pressure Relief Damper, Ceiling Pendent Systems, Pre-Fabricated Modular Operation Theatre, Light Integrated Planar System, Bed Head Panel, Eurovac-Elite, Fetal Doppler, Photo Therapy Unit, Instrument Cabinets, Tuck Away (Split) Side Rails Small, Collapsible Telescopic , Side Rails, Drip Rod, Drop Side Rails, Chart Holder, Irrigators, Dressing Drums, Kick Bucket, Foot Step Double, Foot Step Single, Bed Side Screen 4 Fold, Crash Cart, Solid Linen Bin, ICU Bed Electric CPR Function, X-Ray View Box, Laryngoscope Macintosh, Air Mattress, Eye Testing Drum, Nebulizer, Head Blocks Rigid, Spine Boards. We hold the sound name in manufacturing and exporting Operation Theatre Control Panel at a large scale. 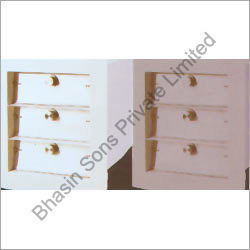 These are specially designed as per the customer requirements. In which the control panel is fitted with 6 tiles or 9 tiles. 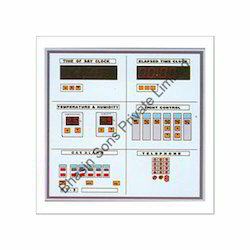 The other valuable features of these products are Music Control, Medical Gas Alarm Systems, Elapsed Time Clock, Lighting Control and Hands Free Telephone. Our products are commonly preferred by the operational theaters of modern hospitals. 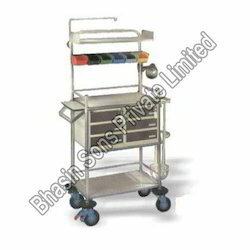 Strictly following the research modules of our skilled professional, we are manufacturing and exporting Crash Cart. We offer these carts at a reasonable price to please our clients. The six colored removable bins are specialty of these carts. It is made up of high raw materials that are adherence of global standards. These products are composed with special equipment like Oxygen cylinder holder, Electric examination lamp; Wooden laminated shelves and Cardiac massage board. 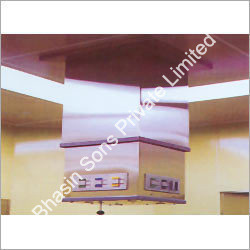 We at, Bhasin Sons Private Limited are engaged in manufacturing and exporting Pressure Relief Damper. It is manufactured in compliance with international standards. This product is featured with unique design, which is capable of preventing the operation theaters from contamination of air dirty area. These are provided with suitably sized air pressure relief damper placed, to enable differential room pressure to be maintained the room infection-free ad sterile. We hold the expertise in manufacturing and exporting Ceiling Pendent Systems. Backed up with perfect manufacturing infrastructure, we are able to offer well-organized pendent systems. Our systems constitutes of fixed pendants, fixed retractable pendant, single arm movable pendant and double arm multi-movement pendant. It is widely used for providing comfort for anesthetic, surgery and monitoring purposes in operation theaters. It is well-known for its compactness and reliability. Hatch Boxes is one of the first-rate products that have a wider acceptance in the market. It is specially designed in order to move and use without any difficulties. These are provided with two quality doors, electronic operated interlocking system and light indication system for effective functioning. This kind of boxes is mainly used in the operational theaters to remove the waste materials and transferred to the dirty linen area perfectly. With the customer focused approach and rich industrial experience, we offer Hermetically Sealed Sliding Door. The high tech technology used in this door enables it to operate by elbow switches/foot Switches or radar switch (touch less sensor). 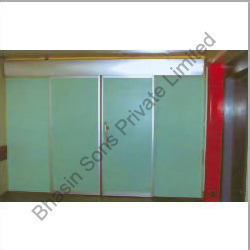 In addition these doors are easily operated manually even in the power failure. The vision of this window is 300mm x 300mm perfectly in which the electrical safety codes for both high and low voltage systems. Meets international quality and safety requirements. Noise level of movement : Less then 60 decibel. The Track : Single piece extruded aluminium. Environment Temperature : -20°C to +55°C. Starting time will be able to regulate from 5 second to 20 second and starting speed will be 600mm per second. The door frame is made out of high quality anodized aluminum extrusion and the door panel is made out of compact laminated board that can withstand high abrasions. The door will run on rubber rollers and guided with nylon runner guides which are fixed to the door in such a way that they do not obstruct trolley movement through the door. The controller will be capable of either being operated by elbow switches/foot Switches, radar switch (touch less sensor). 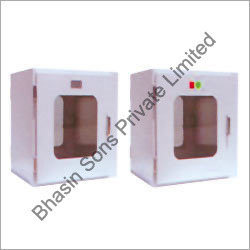 All doors will be able to be operated manually easily in the event of failure power supply or the automation unit. Looking for Modular OT ? Stretcher on Trolley with Mattress DX.